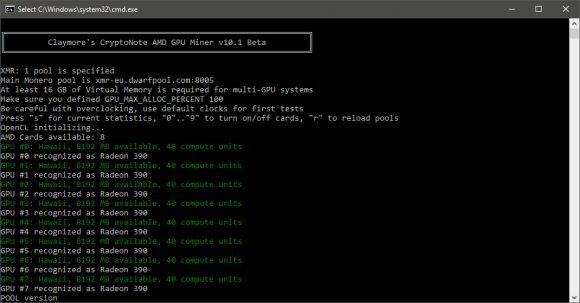 Claymore has updated his Monero miner for AMD GPUs to bring it more up to date in terms of features and performance due to the increased interest and profitability in mining XMR lately. The latest version uses the latest framework which is used by his Ethereum dual miner and ZCash miners, so people familiar with the other miners should have no trouble using this one as well. 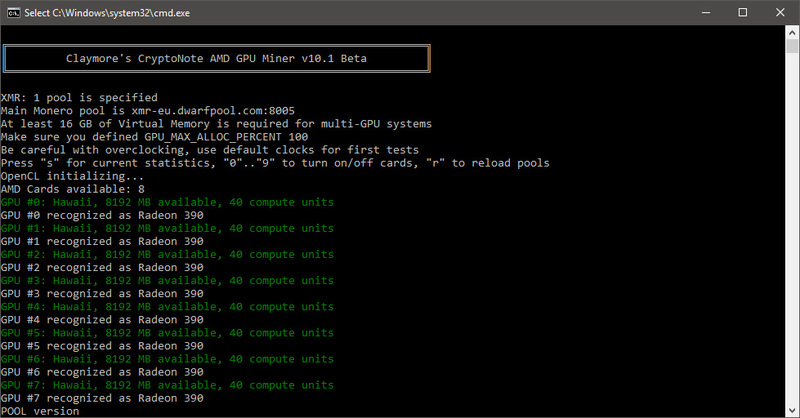 There are some new options available and a lot of miner improvements in the new version, new assembler GPU kernels are being used for improved performance though it also comes with a requirement for more memory. The latest version also comes with a reduced devfee, it’s 1% now if you use secure SSL/TLS connection, or 1.5% for unsecure connection to mining pools. Alternatively for similar higher performance you can also use the latest sgminer with support for Monero (XMR) mining or the latest XMR-Stak AMD miner with two GPU threads, but for these also make sure you have set the virtual memory to a high value in order to not have trouble with multi-GPU systems. The extra increased performance can make mining Monero (XMR) more profitable than mining Ethereum (ETH) for example on the same AMD GPUs you have in your mining rigs, thus the increased interest in mining XMR.